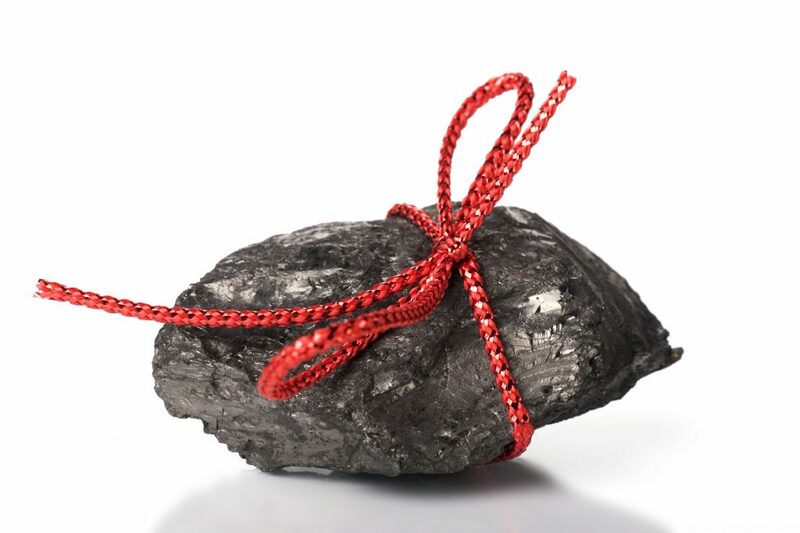 Santa’s a pretty giving guy, even when it comes to the naughty boys and girls… but do you know why coal is specifically the gift of choice for Jolly Old Saint Nicholas? Santa travels to all corners of the globe in one night, bringing good boys and girls wonderful gifts and treats… but if you’ve been bad, you’re just getting a lump of coal straight out of your own fireplace. Santa’s trying to prove a point… you’ve been bad, and you’re not getting a present! “The tradition of giving misbehaving children lumps of fossil fuel predates the Santa we know, and is also associated with St. Nicholas, Sinterklaas and Italy’s la Befana. Nothing that I can find in the legends or history about any of these figures gives a concrete reason for doling out coal, but the common thread between all of them seems to be convenience. Santa and la Befana both get into people’s homes via the fireplace chimney and leave gifts in stockings hung from the mantel. Sinterklaas’ assistant, Black Pete, also comes down the chimney and places gifts in shoes left out near the fireplace. St. Nick used to come in the window, and then switched to the chimney when they became common in Europe. Like Sinterklaas, his presents are traditionally slipped into shoes sitting by the fire. So, let’s step into the speculation zone. All these characters are tied to the fireplace. When filling the stockings or the shoes, the holiday gift givers sometimes run into a kid who doesn’t deserve a present. So to send a message and encourage better behavior next year, they leave something less desirable than the usual toys/money/candy. It seems to me that the fireplace makes an easy and obvious source of non-presents. All they would need to do is reach down into it and grab a lump of coal. Now that you have some idea as to why Santa brings coal on Christmas… we present you with a fun twist on this gift giving tradition… Coal Crispy Treats! This is a super easy recipe – share with friends, family… or be naughty and keep them all for yourself!